In a sea of iconic skyscrapers, it’s a challenge to stand out in midtown Manhattan. One firm’s strategy? Toss aside the rulebook completely. 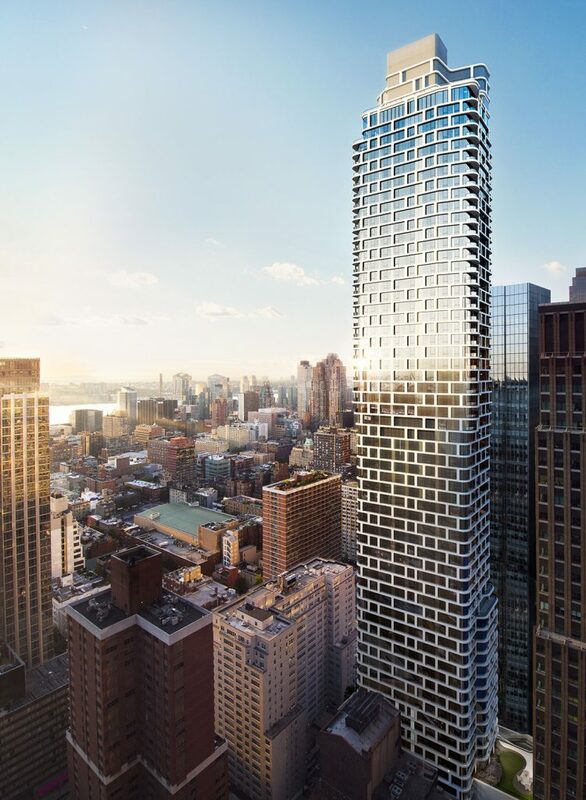 For its new luxury Midtown West tower, architecture and interior design studio CetraRuddy—helmed by John Cetra, FAIA, and Nancy J. Ruddy—eschewed architectural norms of the area in favor of a slick, curved high-rise clad in a web-like white steel and glass exterior.